I met up with Sarah, Rosie and Donna today to have a chat about our trip next May to Chicago. We are all so excited and I know we are going to have a wonderful time!! Great to get together and chat about it. I was early for our meeting in Woburn so I popped into the Woburn Deer Park to see if there was any action in the rut. Well its all over and peace and calm reigned. No calling out from the stags no running and fighting over the females. They just stood around and watched me. Great to see the red deer though - they are such impressive animals. So pleased to see this on the PP this morning!! Many thanks for getting it there!! Gorgeous. So glad you ladies are making the trip. Oh, I like this very much! Love the way you composed this one - great dof. WOW!!! Love this!!! 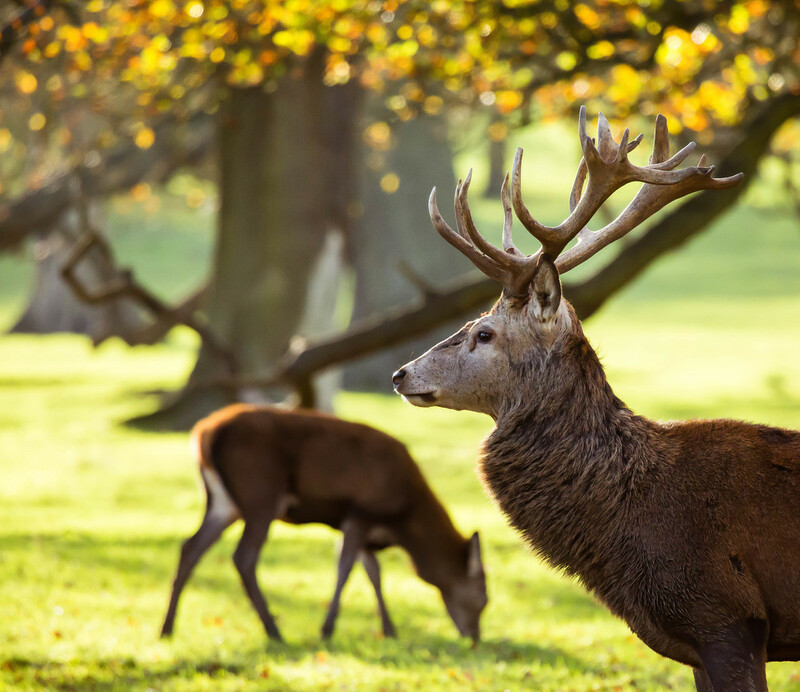 Sounds like a great meetup, and then you had the deer park as a bonus! Wonderful! Fav. What an awesome capture. I'd be looking forward to a trip to Chicago too? And you are all 365ers? Oh, that should be fun. How long will you be in the city? Love the gold bokeh... well taken..
Beautiful creature! Love the gold bokeh of tree leaves! @aglennc yes all 365ers Anita although Donna no longer posts. We will be in Chicago for a week and will be meeting up with Taffy and Junko and Louise. I think maybe some others are planning on joining us at some point during the week. So excited at the thought of meeting people I have followed on 365 and got to know over my years on here. Seriously cool shot. The comp, you dof and the depth... nicely done! Fave! This is magnificent. I love your composition. Comp, pov, dof and light all gorgeous, as are the subjects, fav for me.